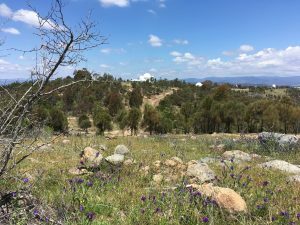 On a visit to UoR Classics Department’s Ure Museum of Greek Archaeology in May 2018, Claudia Gamma, a PhD student at University of Lausanne (Switzerland), made some exciting discoveries. Archaeology often means having to work with fragments. Although (almost) whole pots definitely have their charm, tiny fragments provide some of the most exciting and rewarding challenges. 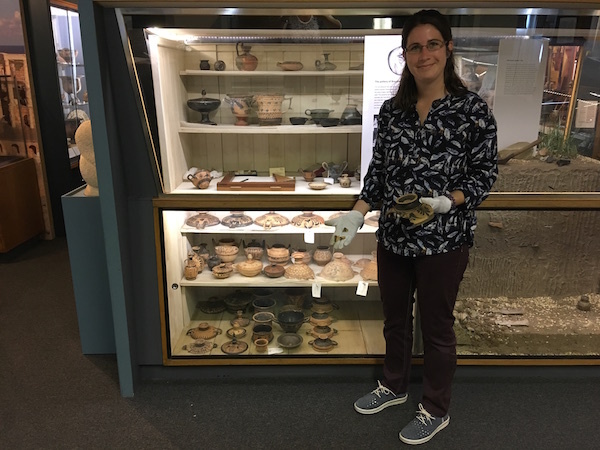 During her short visit to the Ure Museum to study Boeotian classical pottery, Claudia investigated the fragments in storage alongside the displayed artefacts & found several dispersed fragments that joined eachother to reconstruct parts of whole pots. She even added some tiny fragments to an almost whole pot decorated with the black floral style of the classical period. She has made so many discoveries, in fact, that Claudia has decided to come back to visit us later this month to finish her work on our Boeotian vases that will contribute to her PhD thesis. We look forward to welcoming her back. 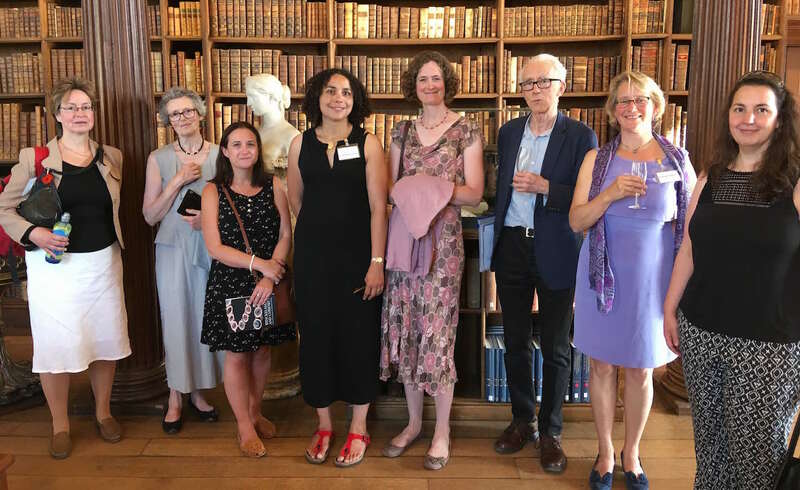 On the glorious sunny evening of 29th June 2018, the Very Rev’d Professor Martyn Percy, Dean of Christ Church, welcomed Reading staff, interested scholars and other supporters to a champagne launch of Winckelmann and Curiosity in the 18th-century Gentleman’s Library, which explores the interaction and influence of Johann Joachim Winckelmann (1717–1758), the pioneer historian, art historian and archaeologist, on the occasion of the double anniversaries of his birth and death. (https://www.winckelmann-gesellschaft.com/en/winckelmann_anniversaries_20172018). 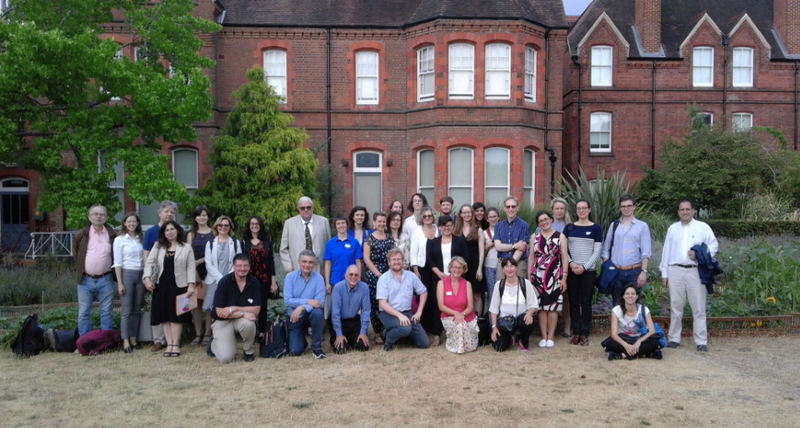 The event also served as a finale to a very successful one-day workshop on Ideals and Nations: New perspectives on the European reception of Winckelmann’s aesthetics, organised by Dr Fiona Gatty and Lucy Russell, under the auspices of the Department of Modern Languages, Oxford University. (This was the last of our triplet of workshops on the theme Under the Greek Sky: Taste and the Reception of Classical art from Winckelmann to the present, of which Spreading good taste: Winckelmann and the objects of dissemination—in Reading on 15 September 2017—was the second). On this auspicious occasion Professor Alex Potts from University of Michigan, formerly Professor of the History of Art & Architecture at University, served as one of the workshops’ keynote speakers and proposed a toast to Winckelmann. This exhibition is a collaboration between UoR Classics’ Ure Museum and Christ Church, co-curated by Reading’s Dr Katherine Harloe and Prof Amy Smith (Curator of the Ure Museum) and Christ Church’s Cristina Neagu (Keeper of Collections). 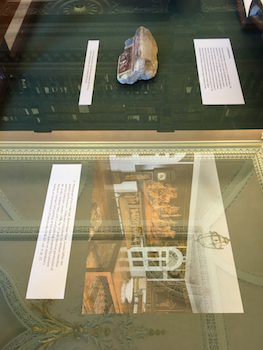 The exhibition of vases, coins, gems (and casts thereof) and even a piece of painted Pompeian plaster kindly lent by the Reading Museum Service, is displayed in Christ Church’s recently restored upper library, which IS in fact the very embodiment of the collecting curiosity that Winckelmann influenced with his enthusiasm for the study of artefacts alongside texts. The library, completed in 1772, boasts large Venetian windows at either end, fittings that date mostly from the 1750s and plasterwork replicating some of the musical instruments once contained in the library. 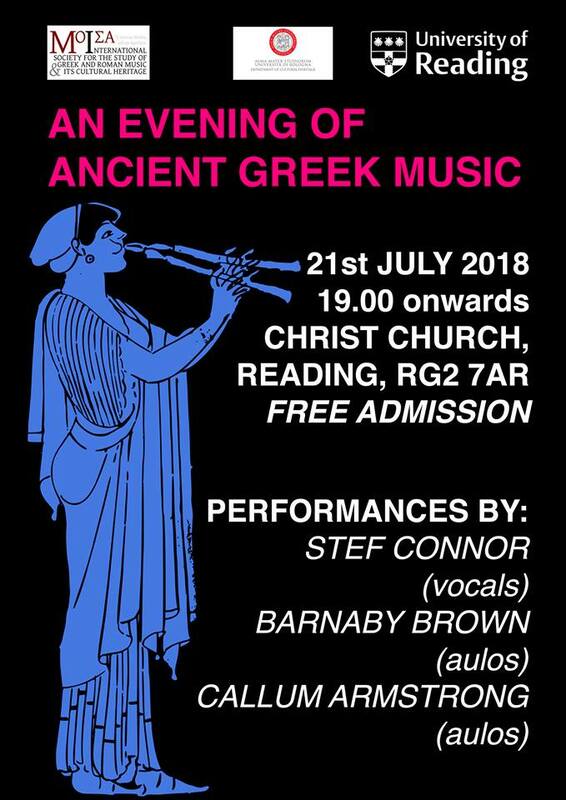 The exhibition is accompanied by a 134-page book, edited by Drs Harloe & Neagu & Prof Smith, with essays and a handlist of the objects on display, available from either Christ Church or the University of Reading for £10. We are grateful to the Friends of the University of Reading for funds in support of this publication. The Ure Museum staff have planned a series of outreach activities in connection with the exhibition, starting with an activity for children and their carers: The Grand Tour: How Classical art went viral in England at Christ Church on Mondays—30th July, 6th and 13th August, from 11am to 1230 pm, in Christ Church Library (OX1 4EJ). Please contact ure.education@reading.ac.uk if you are interested in participating. Details of this and other related activities can be found on the ‘Winckelmania’ research blog—https://research.reading.ac.uk/winckelmania/. Today marks the 250th anniversary of the untimely death of Johann Joachim Winckelmann, a pioneering scholar of antiquity and arbiter of taste in 18th-century Europe. As part of the Winckelmann anniversaries 2017-2018 (we celebrated the 300th anniversary of Winckelmann’s birth 9 December 2017) we are pleased to launch a special online exhibition curated by Connell Greene, currently a third year student in our BA in Classical Studies: Longing for what we have lost: An influential explorer’s pursuit of classical antiquity. 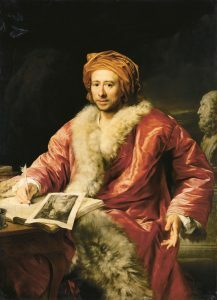 This exhibition considers how, since his death, Winckelmann’s life and scholarship have continued to fascinate artists, writers and thinkers, and thus elevate his significance within European cultural history in general and LGBTQ history in particular. Connell worked on this exhibit as part of his UROP, under the supervision of Dr Katherine Harloe and Prof. Amy C. Smith. On our Winckelmann research project web pages you can also explore upcoming events and our other exhibitions, From Italy to Britain. 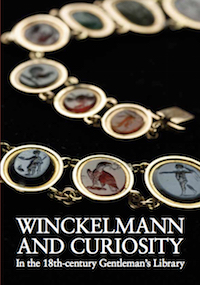 Winckelmann and the spread of neoclassical taste and Winckelmann and Curiosity in the 18th-century gentleman’s library. 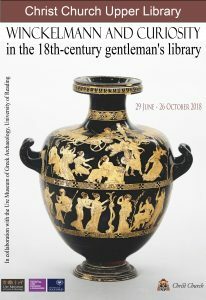 These latter exhibitions, which explore Winckelmann’s influence on the reception of the taste for classics in Europe, are the fruit of collaborations between the Ure Museum of Greek Archaeology and partners at UoR and beyond. 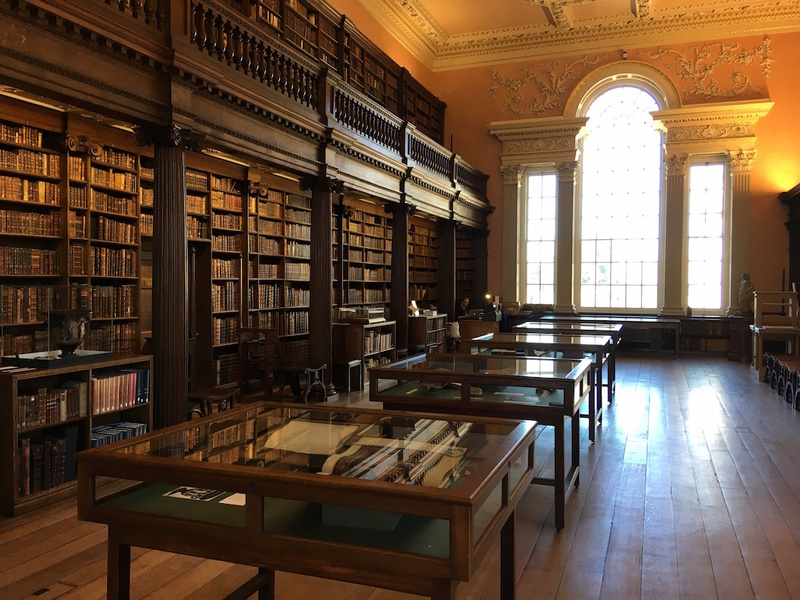 The latter exhibit, hosted by Christ Church Library, Oxford, a nd curated by our Dr Katherine Harloe and Prof. Amy Smith, together with Dr Cristina Neagu (Christ Church), will be launched 29 June 2018 and displayed until 26 October 2018. It is launched simultaneously with a workshop, organised by the Faculty of Medieval and Modern Languages, University of Oxford, in collaboration with Christ Church, Ideals and Nations: New perspectives on the European reception of Winckelmann’s aesthetics. This is the third and last of a trilogy of workshops we have organised on the theme, Under the Greek Sky: Taste and the Reception of Classical art from Winckelmann to the present, with colleagues at London (KCL and Warburg) as well as Reading and Oxford. Our collaboration with Christ Church is particularly appropriate, since it recalls the University of Reading’s origins as an extension college—University Extension College, Reading—founded by Christ Church in 1892. When I ventured up to the observatory at Mt. Stromlo, a veritable jewel in the crown of the Australian National University (where I’m currently a Visiting Researcher) little did I expect to find anything written about the University of Reading in the visitor’s display. 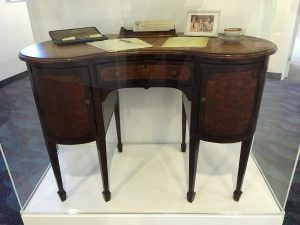 The walnut desk of Pioneer Director of the Solar Observatory, Walter Geoffrey Duffield, however, encouraged closer inspection, especially as it reminded me of our mock-up of the desk of Professor Percy Ure, our Pioneer Professor of Classics at University of Reading, in the Ure Museum of Greek Archaeology. And amazingly, Professor Duffield was tempted to Canberra to take up that directorial role from none other than University College, Reading, as it was then called, where he had served from 1913-1923 as Professor of Physics. 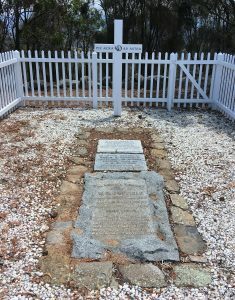 After the observatory tour, as I climbed higher up the mountain, I discovered the great man’s grave, where he is buried also with Doris, his wife, and Joan, his daughter, who survived ’til the ripe old age of 104, just a few years ago. The simple wooden cross, with its Latin inscription, Per ardua ad astra, ‘Through struggle to the stars’, however, clearly refers to him and his work. After all, he & his family are the only modern persons buried on that mountain: unlike his daughter he died at an early age, in 1929. Later that evening, while seated in St. John’s (Anglican) Church, Reid, just around the corner from the Australian War Memorial, my eyes began to wander & set themselves upon a distinctive plaque also with a Latin motto. And amazingly it commemorates the same W.G. Duffield, yet with a different and yet more appropriate Latin motto, Arduus ad solem. I say ‘more appropriate’ because he was in fact a solar scientist and a solar observatory director, thus spent his short life ’striving towards the sun’. 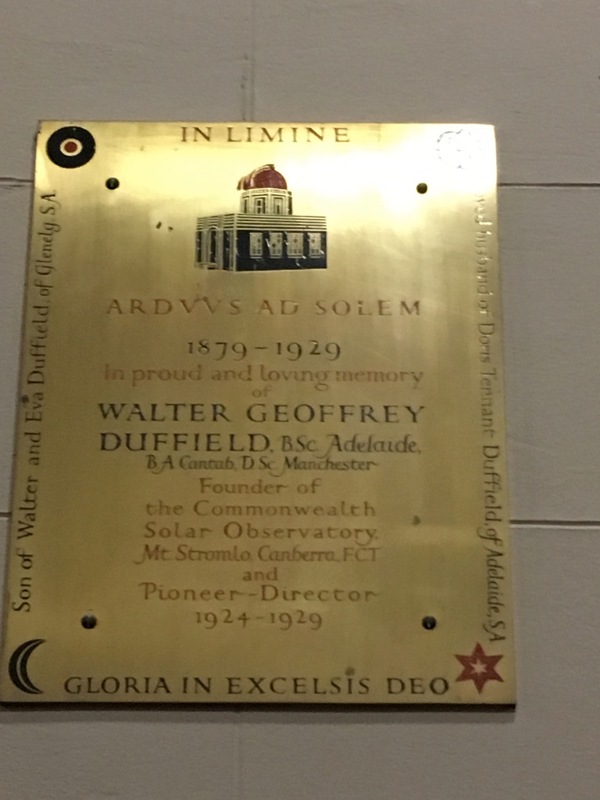 I discussed it with Canon Paul Black, now Rector of that church, who had indeed buried Joan Duffield on the mountain a few years back, although the plaque was placed in the church long before his time, in 1954. 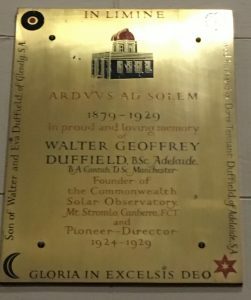 A small amount of research later, however, it became clear to me how and why these mottoes were chosen to honour Duffield. Per ardua ad astra is the motto of the Royal and Commonwealth Air Forces, thus a reflection of his time in service in the Air Force. Arduus ad solem is the motto of none other than Victoria University of Manchester, formerly Owens College and now part of the University of Manchester, where Duffield earned his PhD. The sun is emblazoned on that University’s shield and Duffield certainly took its message into his heart.